We currently have students from eleven countries currently working towards sitting the Irish Leaving Certificate State Examinations in 2018 and 2019. They are doing this by studying Leaving Certificate distance learning courses at the College. 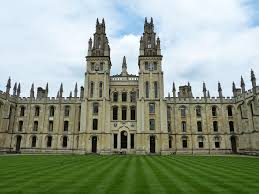 Some are hoping to move to Ireland, in order to study a third level degree at university and others are planning to move to another EU destination like Germany, Denmark or the Netherlands, with a view to entering third level education there. Regardless of where they choose to go to university, all of them are using their Irish leaving certificate qualifications to gain entry to the course of their choice. The most popular choices for our past students are a degree in medicine, law, business, psychology or a modern language. If you are planning to move to Ireland to study at third level, you will need to explore the full range of options available to you. The Citizens Information website has published a comprehensive guide on all you need to know in advance. If you plan to use your Irish Leaving Certificate qualification to apply for a third level course in the EU Eunicas is a good starting point to get an overview of the entry requirements and options available. STEP 1. OPEN ALL YEAR – Enrol on a home study Leaving Certificate programme. At Kilroy’s College, we have fourteen different subjects at higher and ordinary level available to study. Our course tutors are all experienced secondary school teachers. You can study the Irish leaving certificate from anywhere in the world with our unique distance learning courses. How Does the Leaving Certificate Distance Learning Course Work? Each course contains around 200 hours of learning effort and can be completed in as little as six to nine months. Our students can elect to enrol and study over a one or two-year cycle if preferred. The course will bring you through the subject syllabus and ask you to submit a set number of assignments. These will be corrected by your tutor and returned to you with a grade and comments. At the end of each course you will sit a mock examination at home, under timed exam conditions. This is also to be submitted for feedback and correction. Find out how our past Leaving Certificate Student, Carmela, who studied for six subjects from the comfort of home in Uruguay got on. Your tutor is contactable 24/7 privately by email with any queries on the course contents. Our College Student Services team is also on hand during office hours to assist you. Our student community also exchanges tips and information in a closed Facebook group which you will be invited to join once you have enrolled in the College. STEP 2. NOVEMBER/DECEMBER – Find a secondary school in Ireland where you can sit the Leaving Certificate State Examinations as an external candidate. Download a school request form and present it to the Principal of the school that you wish to sit the exams in. Note: you should retain this form and bring it to the first day of the examinations. STEP 3. JANUARY/FEBRUARY – Register as an external candidate online with the State Examinations Commission – the online registration window usually opens in the middle of January until the end of February. Check their website and register early. You will need to give them the location of the school where you will be sitting the examinations so it is imperative that you have this sorted beforehand (see Step 2). Note: a fee (capped at 3+ subjects) is payable at this time to the SEC for this service. STEP 4. JUNE – Travel to Ireland to sit the Leaving Certificate State Examination. 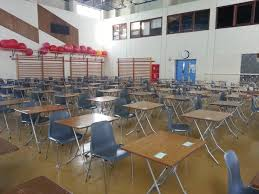 The written and aural (listening) exams are held in June of each year. Orals for modern languages are typically held before Easter of that year (in March or April) – so you may have to travel over twice if you are studying a language. If you let the State Examinations Commission know that you are an overseas student when you register they may be able to facilitate you taking the oral exam in June to save travelling twice, but this is solely at their discretion and may not be possible. STEP 5. AUGUST – You will get your results in the middle of August through the State Examinations Commission. 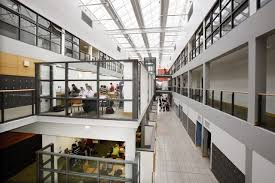 If you would like to know more about any of the options mentioned in this article please email studentservices@kilroyscollege.ie and we would be very happy to assist you.